While many individuals can fill out simple tax forms, there are times in which you need proper and reliable Los Angeles based tax services to call and rely on. This is especially true for Los Angeles individual and business taxpayers facing complex state and federal tax laws which must be addressed when they prepare and file their tax returns. Our LA based tax firm offers reliable, proper tax services with skilled, qualified professionals armed by many years of experience and specialized tax knowledge in dealing with state and federal agencies, especially the IRS. This means that you get a full range of services when filing your taxes and facing issues such as how to get audit help when needed by the IRS, FTB, BOE and EDD. The right tax services in the Los Angeles area offer several services for your needs, both for individuals and businesses. In addition to properly filling out and filing your taxes, there are several services offered for your needs. The Los Angeles tax services you need will address important issues beyond filing your taxes and provide proper representation when you need IRS help. For individuals who are dealing with the IRS, there are important issues that the proper services can provide for your needs. This is true in how to release a wage garnishment from your salary, releasing your bank levy and negotiating an offer in compromise. Hiring the right Los Angeles tax services means that if your salary is being garnished by the IRS or the state, you can find the proper, legal ways to have it released. Understanding how to stop an IRS garnishment or getting wage levy help begins when you hire us, the tax professionals who understand the law and have successfully worked with the IRS and the state with many previous clients. The good news is that you can get the proper representation that seeks out alternative methods of reducing your tax burden so that the garnishment is released. This often means lowering the amount that you owe so that it can be addressed in a single payment, or small monthly payments ending the garnishment once a pre-set amount is reached, or finding another method of addressing the taxes that are owed. Too many people pay the IRS far more than they should because they did not use the tax planning services of a proper Los Angeles tax firm. This means that seeking professional assistance may save you thousands of dollars a year. Why Choose Our Professional Los Angeles Tax Services? There are many reasons why having a team of professionals preparing, filing, and addressing your tax issues. Arguably the most important is that you get options that you might not have considered or even known existed. If you are facing an IRS, FTB, BOE, EDD audit, having your bank levied, wages garnished, or a lien placed against your property, then you will need the services of our tax professionals that are skilled in finding solutions so you can get your life back. Do not wait; call our reliable tax service firm with the proven record of success. The sooner you act, the faster you can get the IRS or the state off your back. 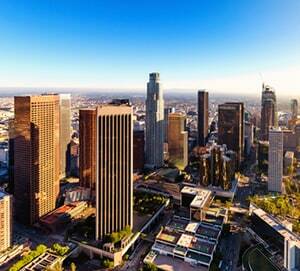 Los Angeles is a fascinating Southern California city and the center of the nation’s film and television industry. Near its iconic Hollywood sign, studios such as Paramount Pictures, Sony, Universal and Warner Brothers offer behind-the-scenes tours. On Hollywood Boulevard, TCL Chinese Theatre displays celebrities’ hand and footprints, the Walk of Fame honors thousands of luminaries and various vendors sell maps to known stars’ homes.